Located at 500 F street, Washington D.C.
Art is created to tell a tale. In “Ashes to Answers,” the story of the working life of arson dogs comes to life. Made to last the test of time, this sculpture is a enduring tribute of the relationship between arson investigators and their dogs. 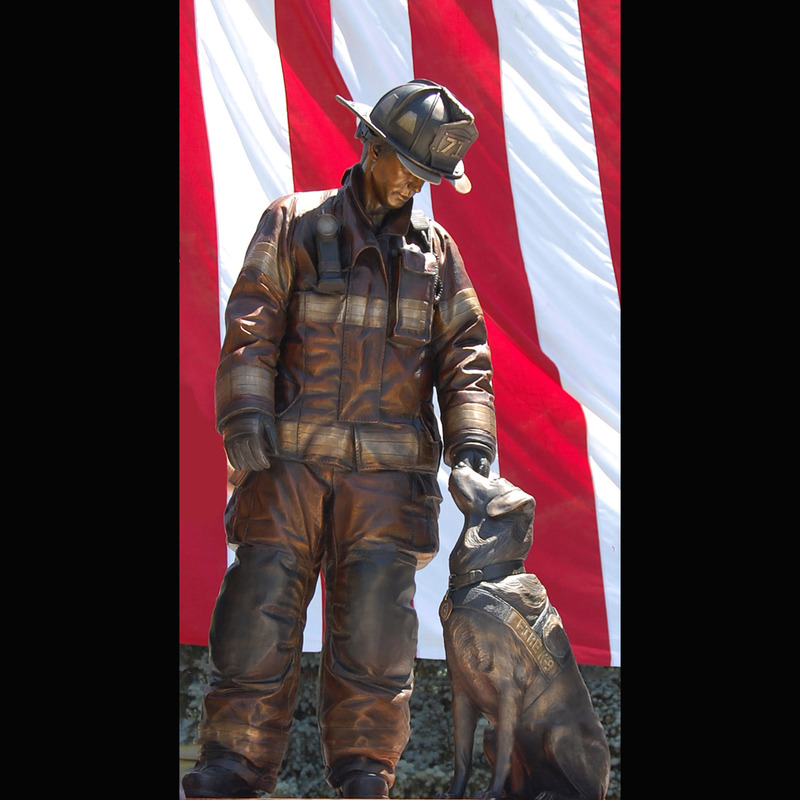 Inspired by handler Jerry Means and his first K-9, Erin, now deceased, the sculpture is in actuality a replica of Sadie, his second K-9. Sadie and Jerry resided and worked in Westminster, CO, performing admirably together during her illustrious career. She attended over 1,000 fire scenes in her lifetime, assisting in the conviction of many criminals before she retired. Jerry is currently working with his third arson dog, Riley, continuing the tradition of a close alliance between man and four-legged firefighter. Labradors are exceptional in this category, utilized often. They also interact with the public at great length, offering another aspect to their popularity. Arson dogs and their handlers remain at one another’s side constantly. These teams both live and work together. State Farm trains each dog, with costs ranging between $20,000 to $25,000. They are often rescued from shelters, saving them from being euthanized. 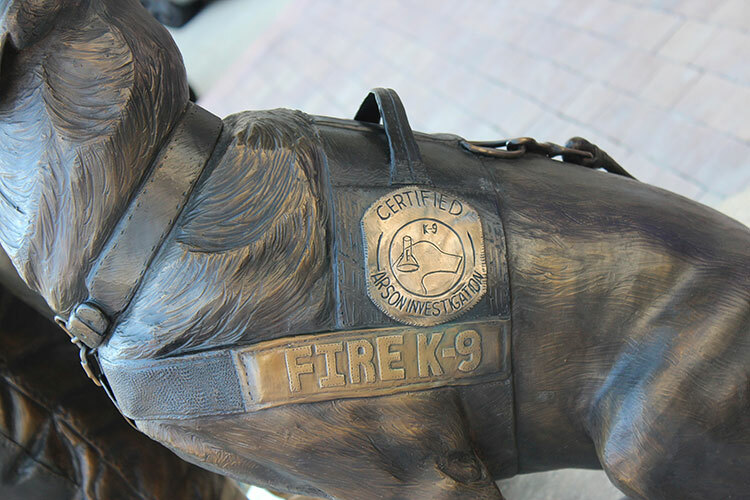 Many arson K-9’s may also be taught other forms of work, so there can be cross-over interaction between such situations as seeing eye animals or military dogs. There were approximately 1,300 hours put in to creating “Ashes to Answers,” making the artwork both a commissioned piece and a labor of love. 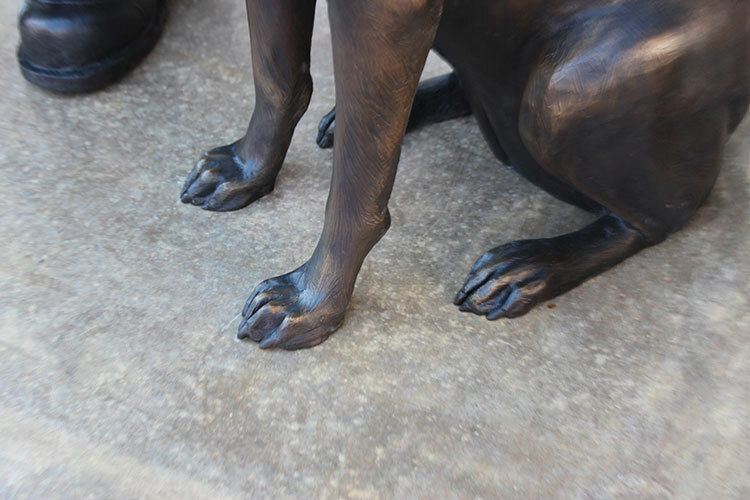 Incredibly lifelike, other dogs respond to the cast figure as if it is real. Notice the upturned snout as the canine intently watches her handler, who in turn, affectionately reaches a hand toward her head. Her attention is rapt, her eyes never wavering as she awaits the next command. 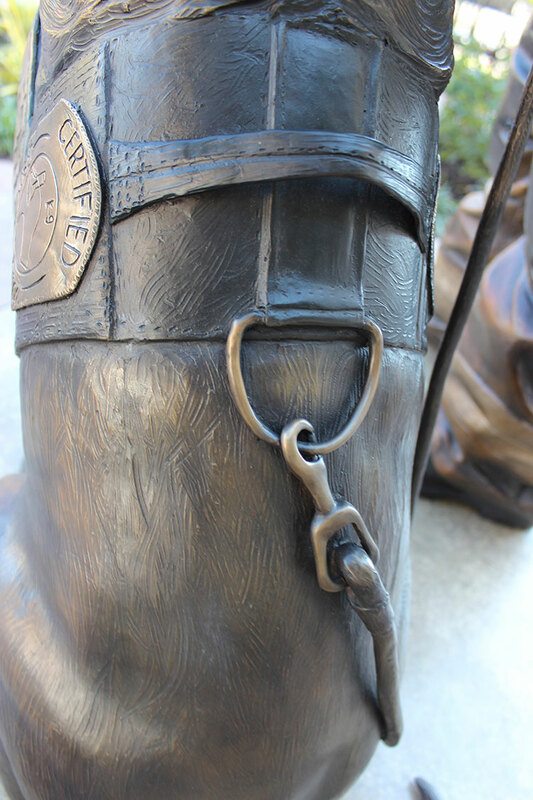 The firefighter’s stance is angled toward her, someone he bonds with as a partner and friend. With floppy ears and the texture of fur evident beneath the collar, an endearing quality is achieved. Located in Washington, D.C., “Ashes to Answers,” has been installed at fire Station 2 on 500 F street, an active firehouse. Austin was 22-years-old when this sculpture was taken to Washington, D.C. and 23 when it was installed. 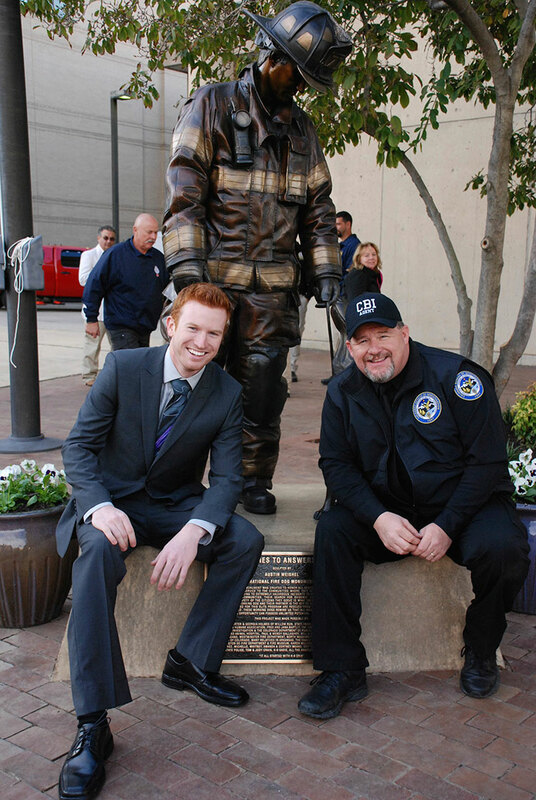 To date, he is one of the youngest sculptors to ever have a memorial piece installed in the nation’s capitol. In 2014, the monument won the ‘most popular’ category in a contest by the Washington Post.